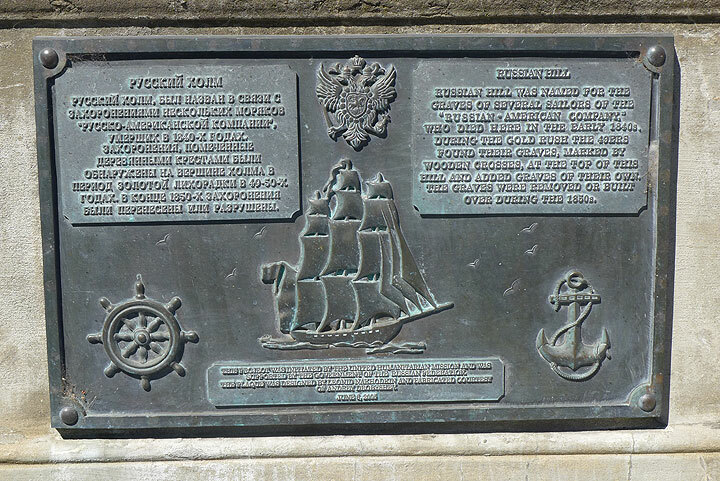 Plaque at top of Russian Hill at end of Vallejo Street a block above Ina Coolbrith Park, describing how the burial of several Russian sailors gave the hill its name. 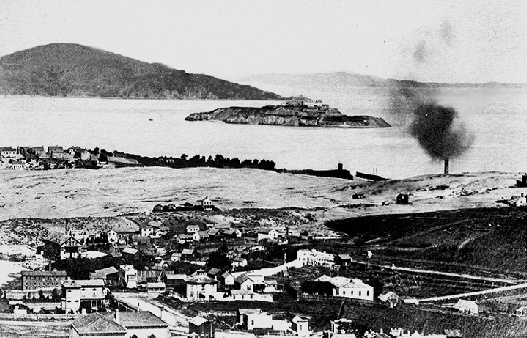 Looking north from Russian Hill, c. 1860. Alcatraz and Angel Island across the water, large sand dune separates Black Point (today's Ft. Mason) from Russian Hill. Black smoke is rising from the Pioneer Woolen Mills near today's Aquatic Park. Before the Gold Rush, this hill was a goat pasture with an old cemetery where Russian seal hunters had buried their dead. Children who climbed the hill to play among the overgrown graves first gave the area the name "Russian Hill." But the name was officially recognized only after it hosted the City's first legal execution, the hanging of convicted murderer Jose Forni in 1852. After that, the hill hosted a whole series of hangings. 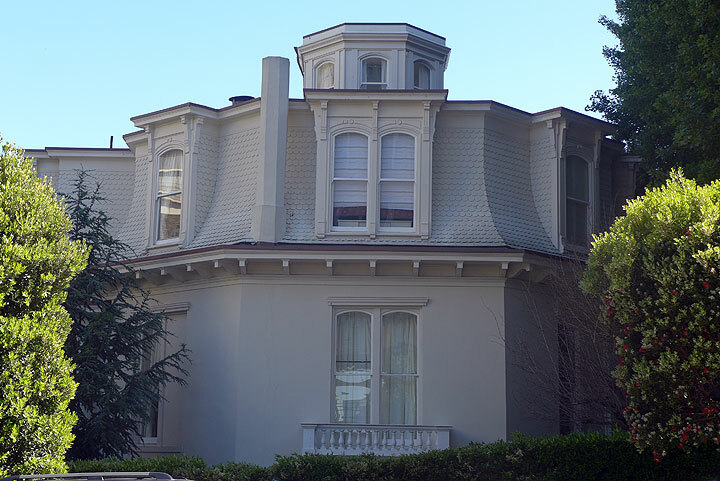 Octagon House on Chestnut Street at top of Russian Hill, one of the original eight-sided homes built in 19th century San Francisco.